Two Girls and Two Bikes in the City of Light! Salut les Bike Commuters! Mir.I.Am is fresh off the jet from France and ready to report on the lovely life on two wheels from the City of Light – Paris. I just spent several weeks in France (oui, oui, depending on your point of view, cue a “scowl of disgust” or “sigh of extreme jealousy,” dear readers). Ever since investigating the bike share options in Paris and Bordeaux last year, I’ve been anxious to see Paris from a bike’s eye view. Two Girls – one with a Backache. My Parisienne friend was incapable of taking the Metro around the city. Thanks to a chronic back injury, she was on intense medication with doctor’s orders claiming no standing on her feet for more than two minutes at a time. Walking was out of the question and the Velib bikes near her house were always checked out, since she lives on the top of a hill. Lucky for us, the two bikes in her garage were the perfect option for two girls touring around the City of Light! We packed up our locks, bags, and water for the road, and set off for a day of errands and sight-seeing rolled into one! Marion on her B*Twin step through, with my pink bag in the basket. Two M’s: Marion & Mir.I.Am. Just like Task Force Chicago, we played follow the leader, with Marion as the leader and me the tourist sheep on two wheels. It’s so stress free to follow a seasoned local bike commuter when you’re brain is in vacation mode, no need to tape maps to handlebars or plan out routes! A bike commuting tip from Marion: make sure to loop part of your bag over your handlebars if your bag is in the front basket since bags are easily snatched at red lights or while biking through slow traffic in Paris. My Parisian ride was the silver "Le Super"
An atypical bike commute for me, I was without helmet (don’t judge), blessed with a slow-leaking back tire, riding a single speed (by default due to broken cables), with a busted built-in generator headlight, but hey – Le Super bike was $free.99 with legit street cred. I mean, look at the thing! I climbed aboard with enthusiasm and a smile, as we pedaled through Paris running errands with plenty of scenic architecture along the way like the Paris Opera. Flowers in your back rack! Everywhere you look, bikes in the street. Strangely enough, I noticed that bike lanes and routes were often in the opposite direction of traffic on One-Way streets. We navigated several roundabouts, green painted bike lanes, bike boxes, sandy paths in parks, and construction zones. The two girls on two bikes snaked through the city, avoid congested boulevards in favor of smaller back alleys. Marion explained to me that we give right of way to the traffic coming from the right (at least this is what I think she said in French), and that there were several laws we were breaking but she’s never been caught! Welp, no time to ask questions, so we ride on and do as the locals do. Off to run our errands: picking up some new duds for me and maybe some bling bling. First errand - pick up a new outfit for me, just my size! Off to the next destination! Two hours of Biking = What an appetite! All smiles and a light sweat later, with errands under way… time for a tasty lunch in a car free zone at Rue Montorgueil! Merci to Marion for taking me to another great local spot. There were tons of bikes shackled up against the fences, and the pedestrian quarter was short but sweet. Sunshine, cigarettes, and salad at a tiny table and chairs at an outdoor cafe was exactly what we needed to recharge. Bon appetit, mes Bike Commuters. Getting hungry after a few hours of running errands, off to find FOOD! The best parking spots - for BIKES only in the pedestrian quarter! Two Bikes round up the Sites. We ended our day (a total of 6 hours of girly fun bike time) by taking the scenic route home, through Pere Lachaise Cemetery. In all my visits to Paris, I had never been to this famous cemetary. We rolled up to the automobile entry and were halted by the lady at the guardshack. To our surprise, she told us it was interdit to bring bikes into the cemetary! We expalined to her that we fully intended to walk our bikes through, as it is pretty steep, bumpy with cobble stones, and I was riding Le Super default single-speed. But, there was no reasoning with the law, she said we would have to lock our velos outside the cemetery and walk around inside without them. We left the auto entry and turned the corner, where we decided to sneak in via the pedestrian entry and carry our bikes up the staircase. I went up first with Le Super to check for a guard, so Marion wouldn’t have to carry the B*Twin up the steps if we were going to get caught. Lucky for us, a group of 30 middle schoolers were at the top of the staircase, creating a perfect diversion for us to sneak past… Merveilleuses Marion and Mir.I.Am made it into Pere Lachaise! Well worth the effort of sneaking in with our bikes! The Bike’s Eye View is the BEST Eye View of Paris. So touring about Paris from the saddle of a junky old bike, I decided I liked what I saw. Two girls playing follow the leader on two bikes in the City of Light was the best way to get around Paris in the summer. Imagine all the things we would’ve missed in the Metro! Imagine how sweaty we would be if we had to hoof it around the city instead. It was so fast to get around by bike that it made the big city feel small. Enjoy your summer, and enjoy your vacation commutes, Cycle Ladies and Gents! A little Bike Love from France! Not too long ago, I met up with the folks at Motiv Electric Bicycles. They gave me one of their bikes to test out for the site. But before I get into that, I wanted to talk about how you could customize your very own e-bike. 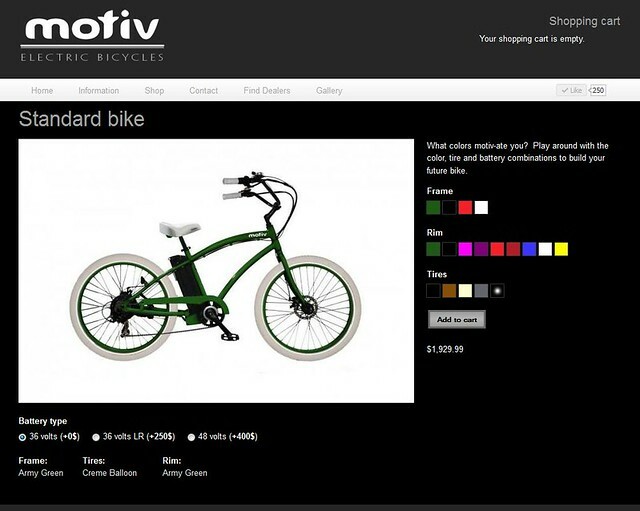 If you were to visit Motiv’s website: http://www.motivelectricbikes.com, you can actually pick and choose the colors for your frame, rims, tires/cockpit and battery pack size. Below is what I went with. I had thought about going for the hot pink…but decided to stick with something more conservative. Here she is in all her glory. Not bad eh? Ya I noticed that the tires didn’t quite match the photo above, but I was pretty happy with the overall look of it. 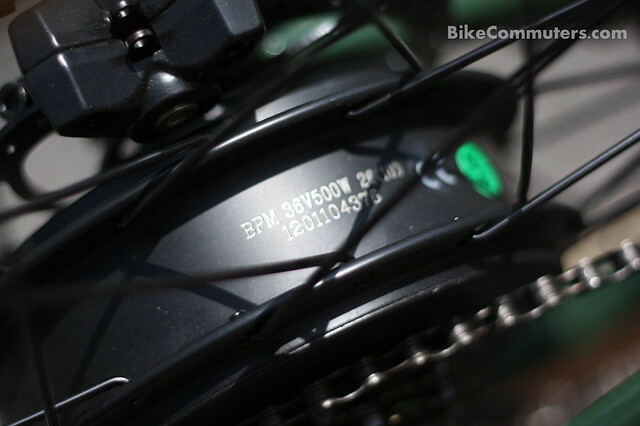 Originally Motiv Electric Bicycles set me up with a 36v battery pack. 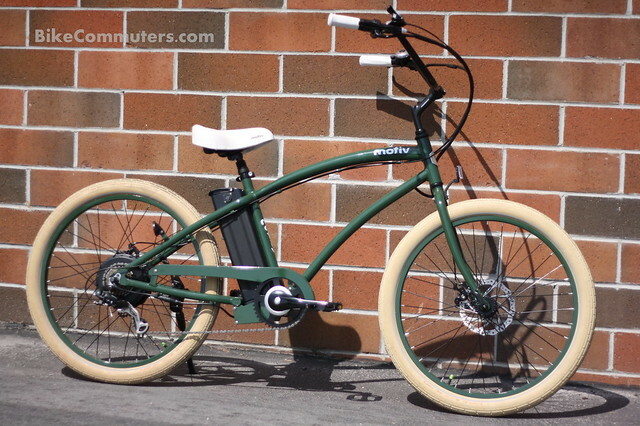 This actually rode well — very smooth — and gave me distance of 23 miles per charge with a top speed of 20mph. Then, at the 3 week mark, they provided me with their bigger battery pack, the 48v. According to Motiv, this pack would let me go faster. Sure enough, they were right! I hit a whopping 31mph and traveled 21 miles in one charge. 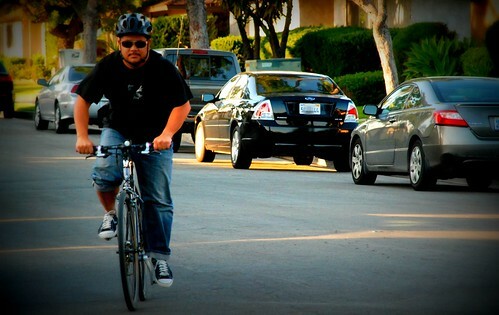 Rear motor has good torque and mated with the 48v battery pack, I was cruising up the hills un-assisted (no pedaling). Motiv’s frame is pretty unique when it came to the battery placement. 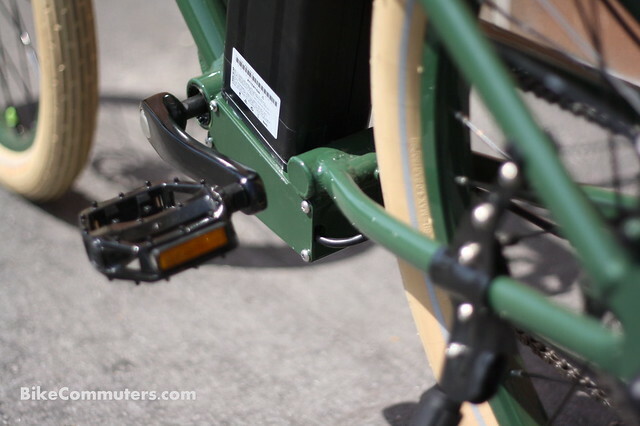 Other e-bikes we’ve tested either have the battery pack in the back or between the head and seat tube. The problem with the rack pack design is that your center of gravity is…well…off centered. To me, those types of bikes feel less stable. But Motiv placed their pack directly behind the seat tube, which basically sits it in the same location as the rider would. This in turn gives the rider (me) a more natural feel. Having the pack in this location makes it feel less squirrely when riding. 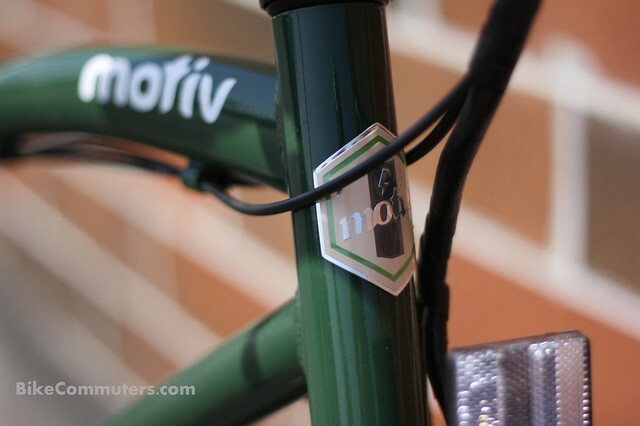 I think the best thing Motiv did was spec their bike with 7″ disc brakes. With the added weight of the motor and battery pack, you’ll need decent braking power. Again I dare compare it to the other E-bikes that I’ve tested. 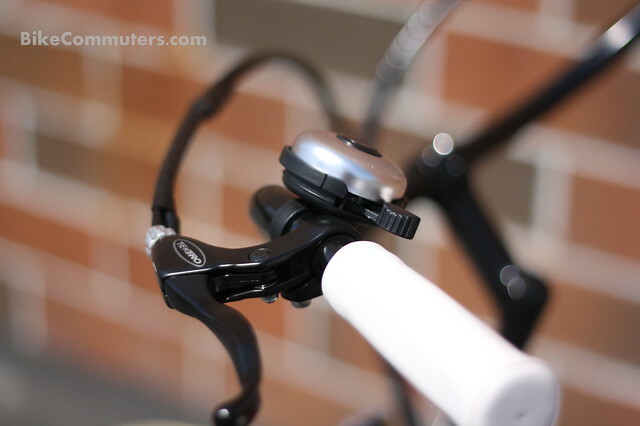 The 6″ disc brakes on the OHM Urban XU700 was ok, but not great. 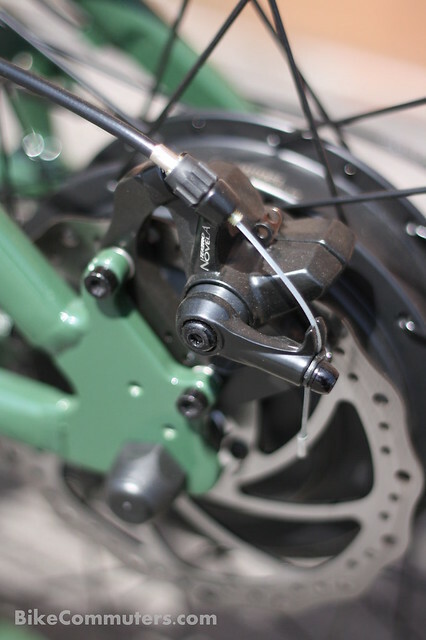 But these 7″ rotors mated with Tektro levers and calipers…this bike literally can stop on a dime. Just think about it, when you’re rolling at 27MPH and need to stop right away, you NEED those big brakes! Let’s get down to the nitty gritty and answer a few questions you may have. “How does it ride?” Well, it rides like a beach cruiser. 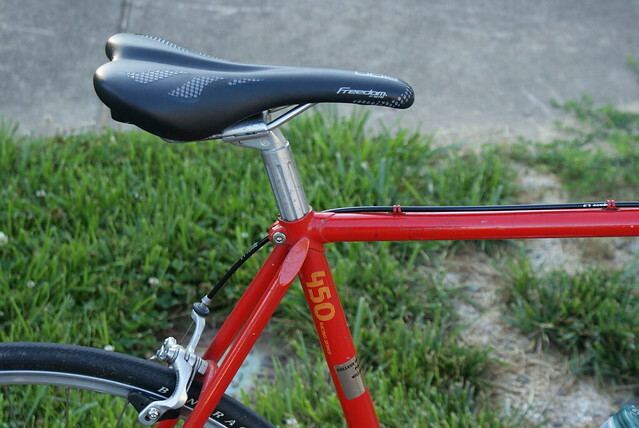 The upright riding position is great for leisure riding. It surprisingly corners really well with its Schwalbe Fat Frank tires. No flat tires during the testing period, wheels stayed true and no mechanical issues ever occurred. Oh did I mention it comes with a bell? Ding Ding! How much does it cost? The test bike I had retailed $1929.99 (with 48v battery pack). 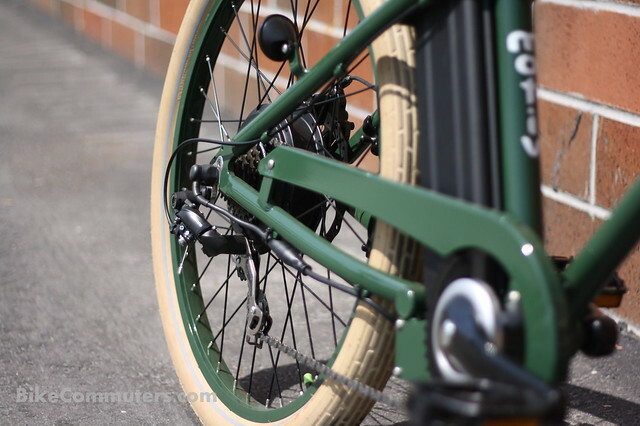 Though it may look like a beach cruiser, the Motiv Electric Bicycle can easily be outfitted with fenders and racks since the frame has eyelets and mounts for them. 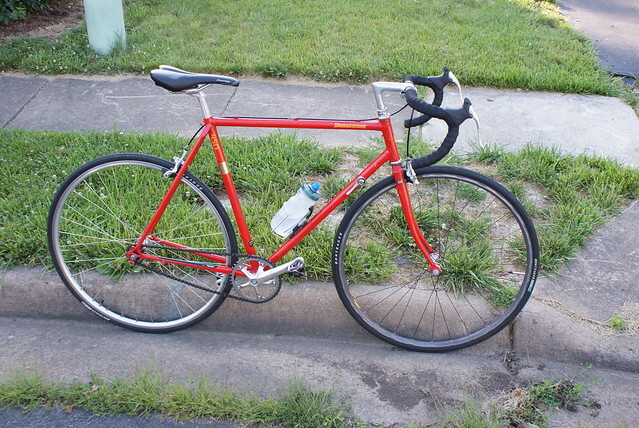 Who should buy this bike? The Motiv Electric Bicycles actually sell more to Baby Boomers than any other demographic. Truth be told, this e-bike is a ton of fun. Not only is it cheaper than the Ohm XU700 and Urbana Current that we tested, but it’s faster too! One of the mistakes I used to do when I first started bike commuting was trying to get to my destination as fast as possible. There’s nothing wrong with wanting to beat your time or use your bike commuting for training, but for the bike commuter who just started, you may want to pace yourself. Why? Well there’s a few reasons. The biggest one for me was that if I went balls out on the first leg of my commute, I’d find myself getting way too tired before arriving at my destination. That poses as a problem because I would find myself way too tired to keep riding. Which made me stop to rest or have to buy a Redbull or Monster just so I can finish the rest of the ride. Another reason to pace yourself was I got way too sweaty. One of the things I hated was arriving at my destination dripping in sweat. This mattered to me because my work place doesn’t have a shower. If it did, then I’d roll out of bed, get on my bike, ride fast and just take my showers at work. Now you’re probably wondering, “how do I pace myself?” For me, and this could be an entirely different experience for other riders, but what I do is I find the right cadence while riding. I’m not pushing too hard or going too easy. Basically I’m cruising around 14-17mph an hour. 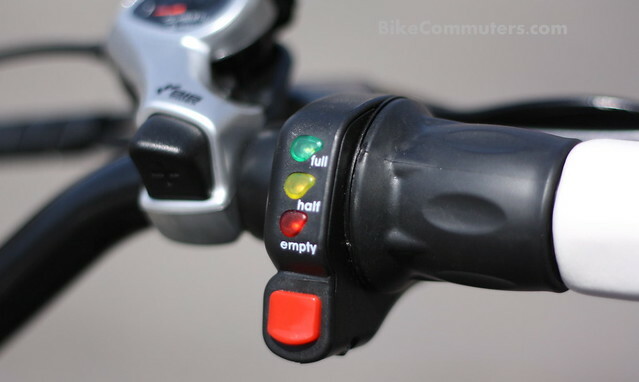 I do hope that this little tip will help out our new bike commuter friends. Enjoy your ride!